Caretaker Hubert Sullivan explains the way Cable Mill operates. See wildlife, mountain scenery and historical buildings as we tour the 11 mile Cades Cove loop road. Spectacular views from the tower on Clingman's Dome, the highest peak in the Smokies. 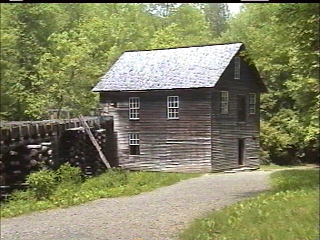 Visit a historic grist mill and see how mountain folk created power before electricity. Let's take a trip Into the past! Learn how mountain folk lived in day of old. © Great Smoky Mountains Association 2010. There are so many things to do at Newfound Gap in the Great Smoky Mountains National Park: check out the stunning views, visit the Rockefeller Memorial and stand where President Roosevelt stood, and straddle the Tennessee/North Carolina state line. Sound like fun? It was! "© GSMA 2010. All rights reserved. 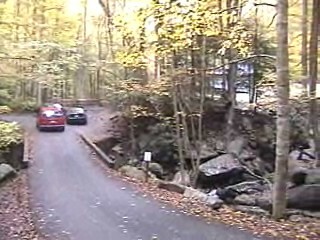 Enjoy the Smokies without leaving your car! Take a drive into the past. The Roaring Fork auto tour takes you through an 1800's mountain community. Drive through or stop and take a closer look by exploring the historic buildings the park services has preserved.